After my post about Dota-Allstars Sound Effect, maybe some of you are going to use it for your Cellular phone ring tone or maybe for creating your movies/video. If you’re going to do so, this application will definitely will help you. 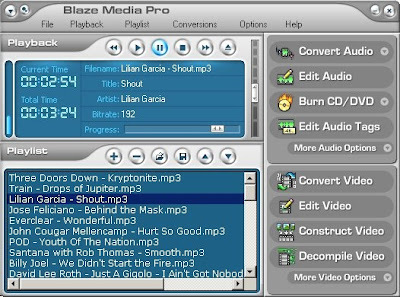 Blaze Media Pro is a all-in-one multimedia application. It offers conversion, ripping, editing, recording, burning, playback, and much more. You can use the audio converter to convert the sound into CD, MP3, WAV, WMA, OGG, MPEG-4, AIFF, M4A, AAC, AC3, FLAC, and ALAC easily.